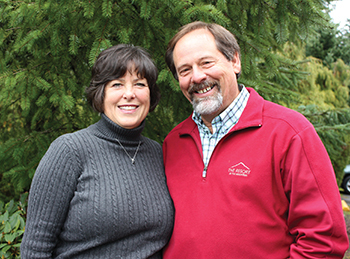 Merit Properties has been a fixture on the Mountain since 1984, with Dave and Regina Lythgoe at the helm. But as of the first of November, Keller Williams, a world-wide realty company with a Portland office, has purchased Merit Properties. “The new office will be known as the Merit Properties Group,” said Leann Harris, CEO of Keller Williams Realty Portland Central. “All the existing agents will remain to provide the real estate services and local expertise to which their clients are accustomed … Merit Properties Group still ‘Knows the Mountain,’” she said, referring to the Merit signature slogan. Keller Williams boasts more than 190,000 agents nationwide and more than 330 agents in Oregon. Lythgoe added that the resources available to the agents will help them reach a network of hundreds of thousands of Keller Williams agents. Merit’s listed properties will have a larger audience and buyers will still have the same local agents to take care of their real estate needs. “Now the agents will be supercharged with more up-to-date training and more capabilities to find buyers and sellers,” he said. The history of Merit Properties has spurred many companies to come courting over the years as it does an amazing business for an unaffiliated office. Despite that, Lythgoe said his motivation to sell was never that high in past years. “My asking price was too high to be serious,” he said. Three years ago, Lythgoe was approached by Keller Williams but again he was not overly motivated. This year Harris made contact again saying they had renewed interest in purchasing. The deal was struck. Keller Williams has modern technology available to agents and clients such as the KW Real Estate app., Lythgoe added. Their commission and profit-sharing programs are superior to most other companies. And someone new will be charged with tending the flower boxes. Kayla Keyser has been added to the staff of Merit Properties Group. With the addition of Keyser, Merit Properties Group now has nine brokers offering real estate services to the area from the office in Hoodland Park Plaza.